The OECD Report of August 2012 , titled : Measuring Regulatory Performance –Evaluating The Impact of Regulation and Regulatory Policy , defines Regulations as rules or norms adopted by government and backed up by some threat of consequences, usually negative ones, in the form of penalties; regulations seek to change behavior in order to produce desired outcomes. “A regulation works when it solves, or at least reduces or ameliorates, the problem or problems that prompted government to adopt it in the first place”. (i) No regulations: free for all; relying on market forces to manage the sector; survival related to stakeholder satisfaction; ad-hoc decision – making; permits considerable discretion; situation analogous to our traffic on the roads! (ii) Maximum regulation: myriad regulations, norms, guidelines; control-dominated; proliferation of inspectors and inspections; trust deficits at all levels; opportunities for corruption; akin to pre-1991 situation in the business sector. A via media approach is voluntary self-regulation as exemplified by AICTE mandatory disclosure ; the anecdotal evidence, however is far from satisfactory. In the matter of advertisements and marketing efforts, for example, there are malpractices galore. There is also considerable political influence and lobbying. A typical VVIP response is: ” I don’t care about your systems, procedures and processes; I just want to get my job done”. An oft-repeated refrain is that the 1991 reforms have left the education sector untouched , while the industry, commerce, business … sectors were “liberated, unshackled…”. Kapil Sibal , the then HRD minister , at an international conference (June 18 , 2009), said that “India’s education system needs massive reforms, similar to those introduced in the Indian economy by the then Finance Minister Manmohan Singh in 1991”. He, however, did not elaborate on the measures his ministry would take to change “the way” of India’s education system. He said that his top priority was to liberalise the Indian education system. Sibal also said he was open to the idea of foreign universities setting up campuses in India, but said any decision to be taken on the issue would be after a consensus. It is believed by many that regulation of the education sector is a ‘curse’ peculiar to India; that it is not prevalent in the UK, US ….It is far from the truth! 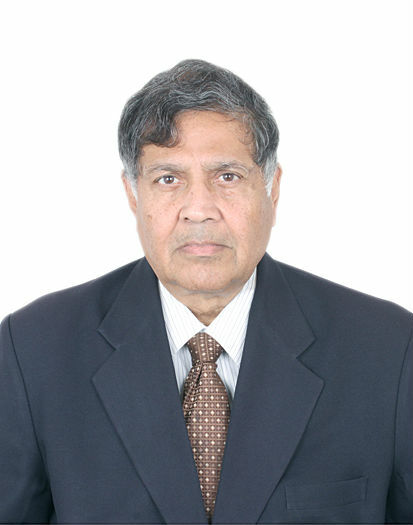 Prof. Natarajan, former Director – IITM / former Chairman, AICTE. Prof R Natarajan has served as the Chairman of AICTE from 2001 to 2014, and as the Director of IIT Madras from 1995 to 2001. His fields of expertise are : Thermal Sciences and Engineering and Engineering Education. He is a fellow of the Indian National Academy of Engineering and several other professional Societies. He has been conferred honorary doctoral degrees.